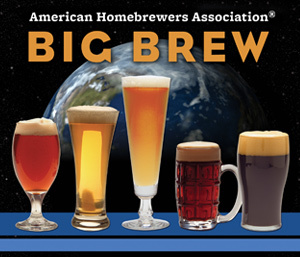 Saturday, May 5th, marks the 11th annual Big Brew Day sanctioned by the American Homebrewers Association. Homebrewers from around the world choose from predetermined recipes to brew on that day. This year’s recipes are an American Brown Ale and a Northern English Brown Ale; see the actual recipes here. Starting at 9am, Richmond’s local homebrewing club, the James River Homebrewers, will be brewing at two locations this year the The Weekend Brewer in Chester and Original Gravity over on Lakeside Ave. If you ever wondered about how beer is made, this is a great opportunity and promises to be a great time for all. So drive on down and join on the fun. Get there by noon and you may be able to join in on the worldwide toast.